You think your last race was close? Try sailing for more than 11 days, 3590 nm and winning (or losing) by five minutes and 27 seconds. Or slipping back to 5th by just a minute and 42 seconds! 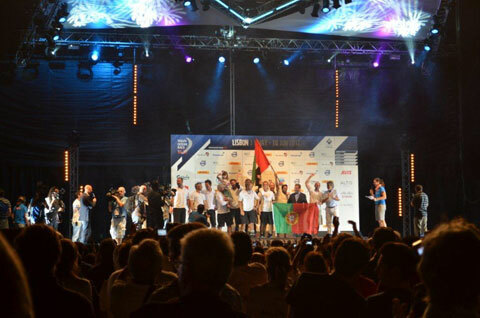 That’s what happened at the Volvo Ocean Race leg from Miami to Lisbon. And AYC Honorary Life Members Mike Yarnell and Tia Renshaw were at the dock waiting as the boats finished. Mike and Tia are vacationing in Lisbon, helping the struggling Portuguese economy. The Volvo Ocean Racers should help it too. They’re spending plenty to be ready to depart on the next leg, Saturday, June 9.